The problems of the world could be solved overnight if men could get victory over their tongues. Suppose there was no anger, no profanity, no lying, no grumbling or complaining; suppose there were no dirty stories told, no unjust criticism—what a different world this would be! The Bible teaches that a man who can control his tongue can control his whole personality. We should ask ourselves three questions before we speak: Is it true? Is it kind? Does it glorify Christ? If we would always think before we speak, there would be much less evil speaking, and there would soon be a spiritual awakening that would sweep the church in America. Prayer for the day: May I remember how important it is to keep a check on my tongue. I pray that my conversation this day will be pleasing in Your sight, Lord. NextOur Daily Bread 19 February 2018 Devotional – Not Enough? 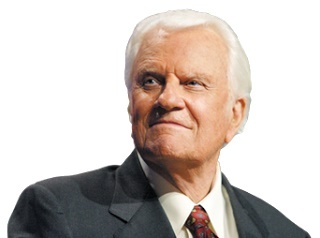 Billy Graham Devotional 25 December 2018 – What does Merry Mean?